First Place – James Burden from Pinon Hills, CA. Trout weighed 2 lbs. 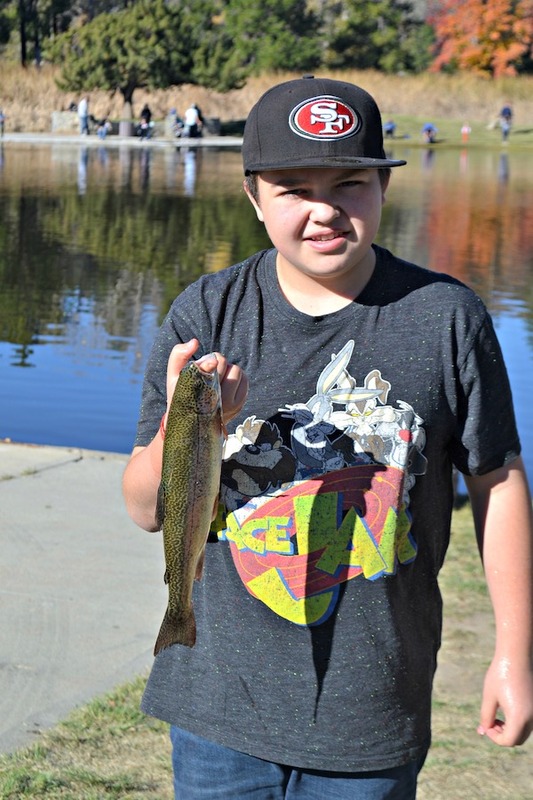 Caught using Rainbow Power Bait on small lake. 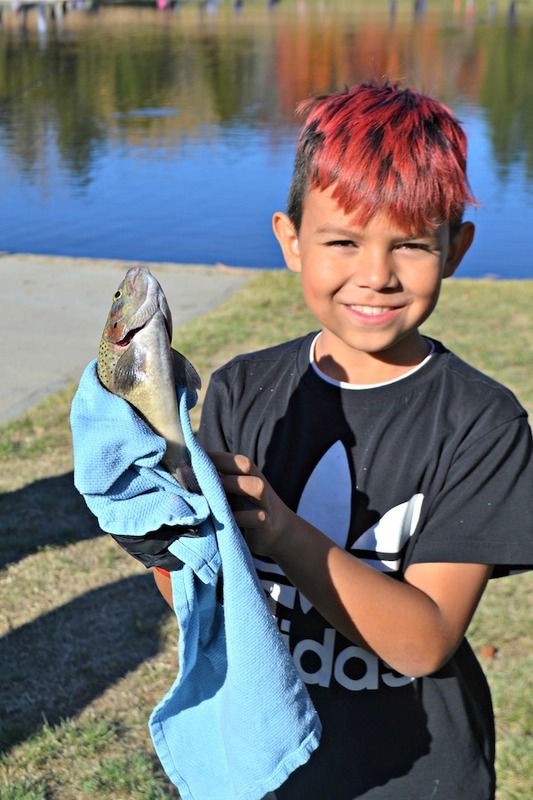 80 young fisherman attended the first 2018/2019 San Bernardino County Regional Park Trout Derby for Kids. The derby was held at Glen Helen Regional Park in San Bernardino, CA. 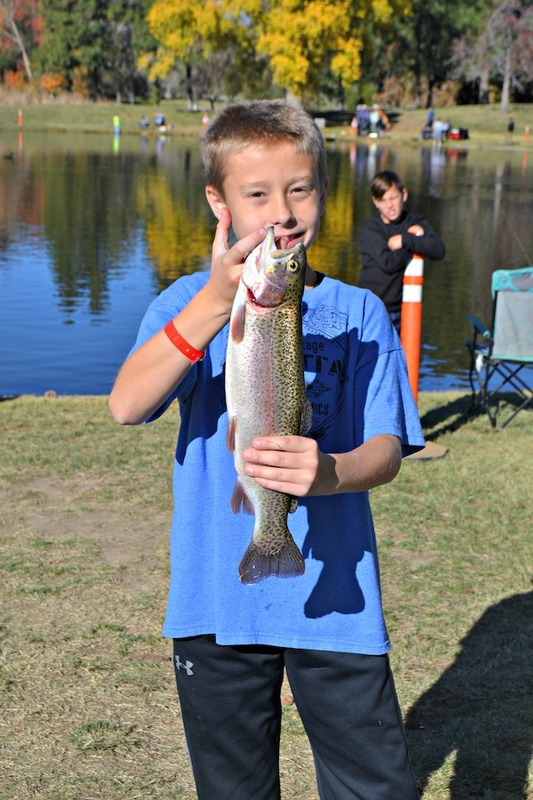 A total of 59 trout were caught and registered, with the top trout weighing in at 2 lbs. 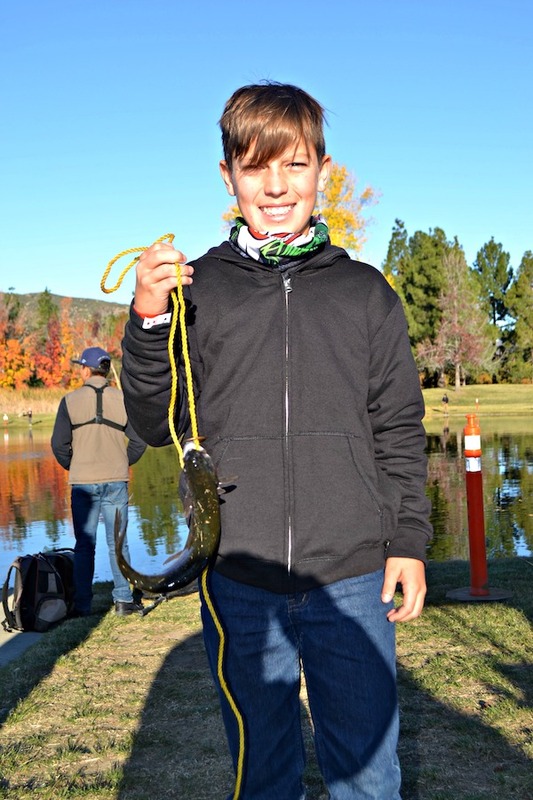 It was caught by 10 year old James Burden from Pinon Hills, CA using Rainbow Power Bait. 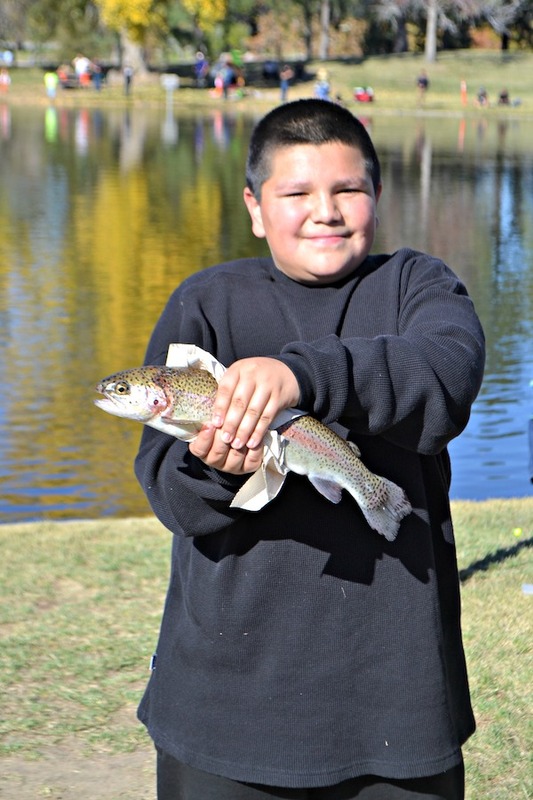 Twenty-nine additional prizes were given out for trout weighing 1 lbs. 9 oz. to 6 oz. 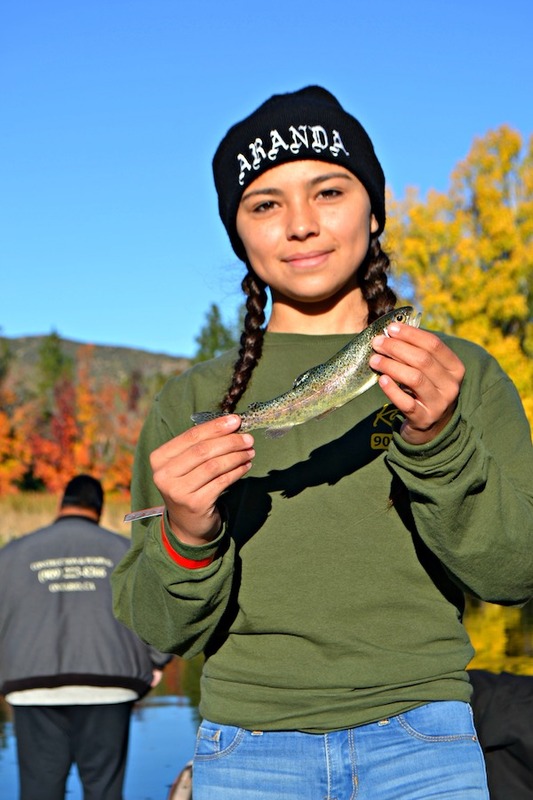 There was even a prize for the smallest Trout caught which was won by 12 year old Anita Aranda from Ontario, CA with her 3 oz. Trout. Grayson Hodge from San Bernardino, CA. Trout weighed 1 lb. 1 oz. Caught using Power Bait on small lake. Anita Aranda from Ontario, Ca. Trout weighed 3 oz. Caught using a jig on small lake. 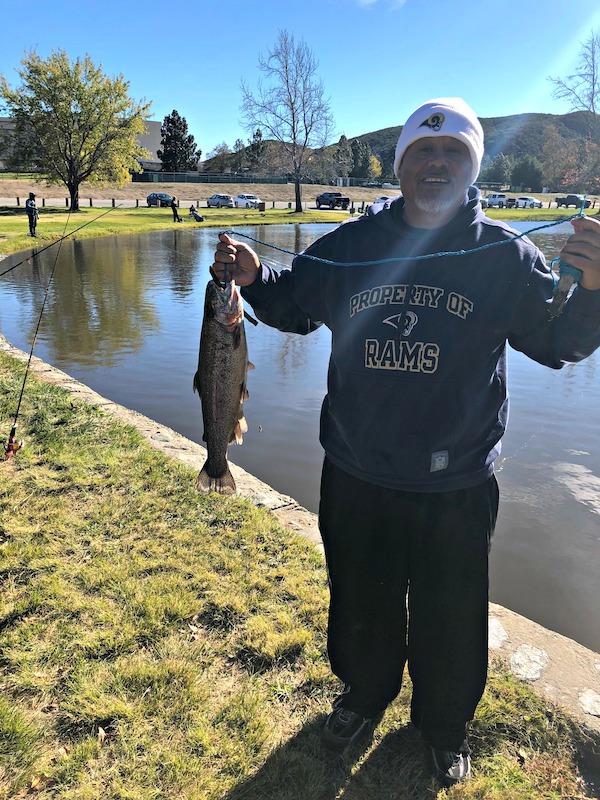 Daniel Arieta from San Bernardino, CA. Trout weighed 1 lb. 2 oz. Caught using a worm on small lake. Nathan Sweet from Hesperia, CA. Trout weighted 12 oz. Caught using a mini jig on small lake. Jeremiah Ruiz from Upland, CA. Trout weighted 13 oz. Caught using Red Power Bait on small lake.